Cellaring: This wine is expected to age well to 2020. 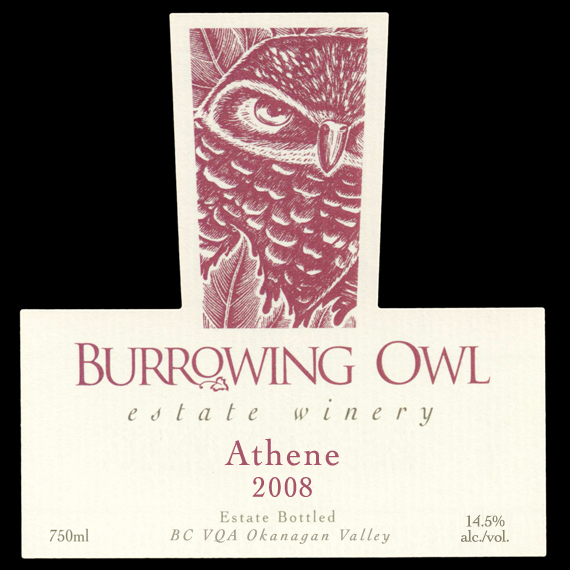 Burrowing Owl Estate Winery is pleased to announce the release of the 2008 ATHENE (a-THEE-nee); the first new label to be added to Burrowing Owl’s award winning line up of premium wines in 8 years. The name chosen for this blend comes from the biological genus, Athene, to which the burrowing owl belongs: Athene cunicularia. 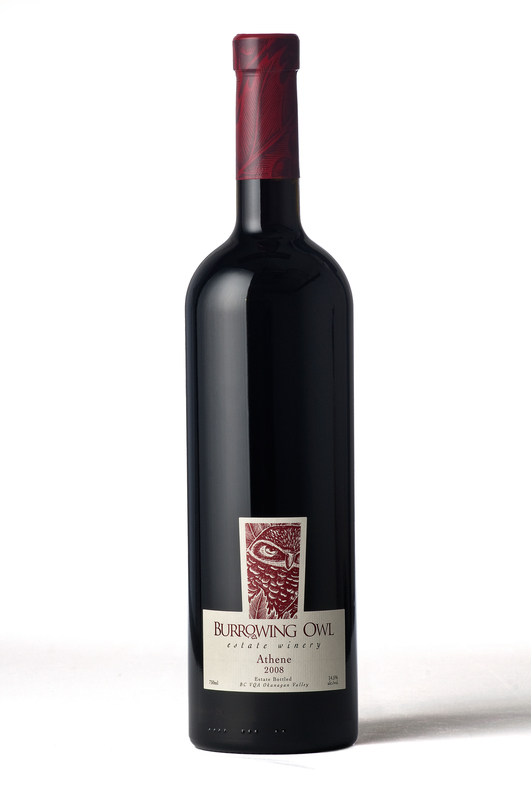 The Syrah and Cabernet Sauvignon grapes were harvested at the end of October, 2008 from Burrowing Owl Vineyards in Oliver, B.C. The grapes were gently de-stemmed and gravity dropped into ONE tank prior to inoculations with our preferred yeast strains. The wine was co-fermented on skins for 20 days prior to the draining of the free wine and hard pressing of the skins. The wine then received 14 months of oak barrel exposure with periodic rackings.